Photo: Artist impression of new West End development. About 150 people took to the streets of West End on Sunday morning, August 21 to protest a proposed West Village development. The development’s plans include three 15-storey apartment towers among a total of seven buildings proposed for the 2.6-hectare site in the heart of West End. Greens councillor Jonathan Sri led what he described to brisbanetimes.com.au as "civil disobedience" in a march through West End and a "creative occupation" of the site of a proposed controversial development in the suburb. Should the development go ahead, it may conflict with height restrictions outlined in the City Plan. However, Cr Sri's resistance to the development involves more than the height of buildings. "It's about community and it's about culture and that's what motivates me to organise these events and take an interest in this issue," he told the Brisbane Times. "Right now, I'm feeling that slipping away in the inner-city; that diverse, vibrant, connected community is fracturing and fragmenting. "I'm seeing musicians and artists being priced out of the area and … Aboriginal families are no longer able to afford to live in the area. "Affordability is a major concern as the West End’s Aboriginal community already feels like prices are progressively moving them out of the area and a development such as West Village would cause further alienation. Cr Sri said to the Brisbane Times that the neighbourhood deserves a say in how the neighbourhood evolves, and together with the fears from West End's Aboriginal community the greater West End population is concerned that mass residential development may lead to a further community disconnection. "We'd like to see creative arts represented there, we'd like to see start-ups, we'd like to see business back into West End,” West End resident Tennille Roache told Brisbane Times. 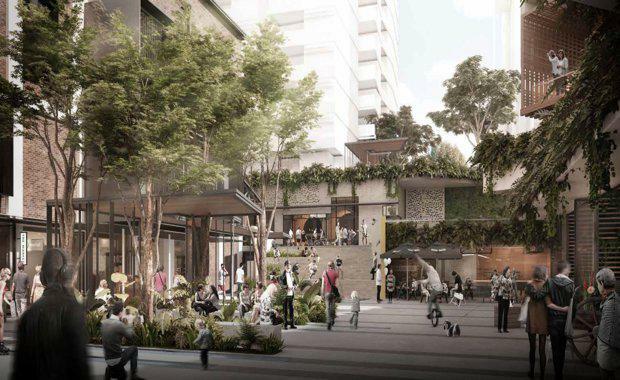 Deputy Premier Jackie Trad last month announced she was considering calling in the Brisbane City Council-approved plans for the two-hectare site in the heart of West End. The role of the project’s assessment manager would fall to Trad and not local council should she decide to call in the development. Lord Mayor Graham Quirk said the proposed call-in jeopardised confidence in the construction industry and 3340 jobs generated by this project. "Council stands by its decision to approve the master plan for the site and will lodge a submission supporting our earlier decision,” he said.